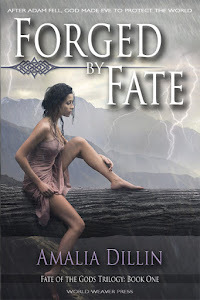 Happiest of book birthdays to FORGED BY FATE by Amalia Dillin, very dear friend and critique partner of yours truly! Buy it here! In FORGED BY FATE, gods and goddesses of mythology are real, and walk among us here on Earth. 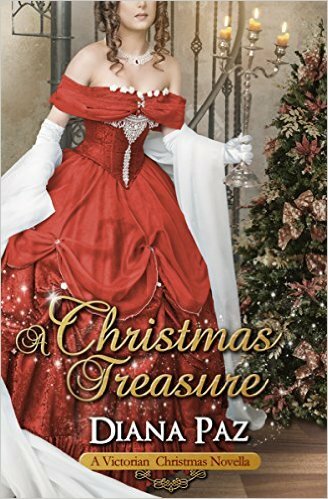 In honor of her release day, I invited Amalia to talk about her thoughts on what it would be like if this were true right now in the modern world. In ancient Greece, dating as far back as the recording of Homer’s Iliad, if not further, Athena, daughter of Zeus, was worshipped as both a goddess of wisdom and war. But she was also the goddess of other things: weaving, pottery, defense and heroism, law and order. To Athens she was even more, still. The patroness of their city by her gift of the olive tree, so essential to ancient Greek life. She was the protector of the city itself, and everything which brought it prosperity fell under her purview, from agriculture to the walls which circled it. Later, to the Romans, she became Minerva, goddess of war and wisdom still, and more: arts and crafts, including medicine and poetry, the inventor of musical instruments, and the goddess of ideas themselves. In Forged by Fate, the gods live and breathe and walk the earth, and even after the rise of Christianity and the fall of Rome, they are still present in the world, Athena among them. But where does she fit, in the modern world? No one can argue that we are still in need of wisdom, today, and I think Athena would fit right in at any campus. Maybe she would be the patroness of students and honor rolls and scholarly fraternities, academic boards and thesis advisers might appeal to her for support in choosing which students are awarded their degrees. The students themselves might consider leaving offerings, making sacrifices, and maybe a little bit of begging for good measure. Oh! And textbooks! With Athena’s personal stamp of approval – an owl, maybe? Provided by priests and priestess of Athena, who serve as a review board? – you’d know who was writing the best books, and which ones to check out for supplemental readings. Museums and libraries could become her temples, judges her priests and priestesses, for who is more in need of wisdom than a judge, struggling to discern the innocent from the guilty? Jurors might be blessed by Athena before sitting for a trial, too. And let’s not forget Athena, the goddess of Wikipedia! As a goddess of war, she might make a great personal patron of the department of homeland security, considering defense is her specialty. Statues of Athena might find homes along the borders of a nation, or even a state (though it should be noted that Hermes/Mercury is the god of travelers), warding off attack or trouble from foreign powers. She would be the patroness of police officers, firemen, and soldiers – any hero of our modern world. In regard to the arts, I could just imagine how Broadway productions might fight one another for her blessing. Poets, writers, artists of all kinds, would be well served in leaving offerings at her feet – so long as they never claimed to be better than she was at their craft. And not just artists, but farmers tilling their fields, breeders mating their livestock, their dogs, their cats, their seeds, for a stronger, better result. There’s plenty of room for Athena in today’s world, and I’m not sure she’d really have to step very far out of her comfort zone to fit in. As a goddess of wisdom, she is timeless, as a goddess of war and defense, still unfortunately necessary. We’ve just fallen out of the habit of calling upon her. But what happens to Athena in Forged by Fate as the world turns, and she’s forgotten? Or for that matter any of the other Olympians? Well, you’ll just have to read the book to find out! Forged by Fate available now, from World Weaver Press! Thanks for having me, Di! !